You will be impressed with how bright and clean Lilipad is. Her owner's attention to detail and scrupulous maintenance shines through. From the pristine living spaces to the immaculate engine room and the shine on her topsides. This is a well-cared for boat that has had the benefit of continual maintenance and upgrades to make her an exceptional find. You will take her on with complete confidence that she will give you plenty of happy and carefree living and cruising. 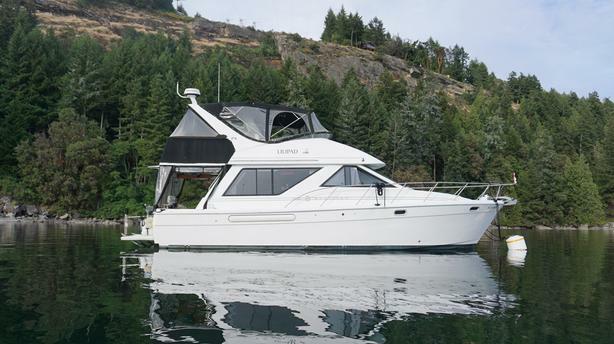 Also available with the purchase of this boat, is a sublease of 6 months or more, for a highly sought after live-aboard moorage space, right in downtown Vancouver. Call us today to see for yourself. You will be glad you did. Check out the Full Specs and Pictures on our website, linked in the box below.